Have you ever wondered about using Instagram on Windows or PC? 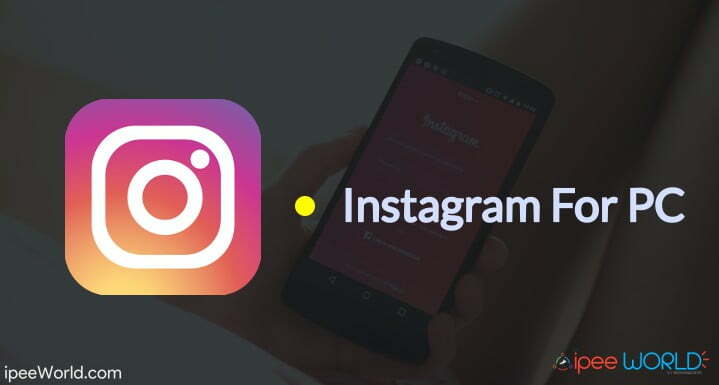 Today, in this article I will share a guide by which you can use Instagram from your Laptop or PC and upload Images & Videos and Add Stories as well. 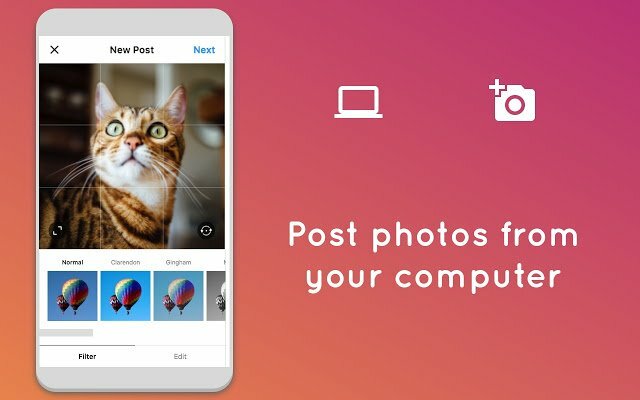 Get Instagram for PC today and start uploading Images, Videos and Add Stories right from your Computer. Download and use Instagram for Windows 7 and Windows 8. We all know that Instagram is specially designed for Smartphone users. So, all the features that Instagram gives on Smartphone are not given to PC users. Instagram is not having a standalone version of Windows. So, does that mean we can’t upload images or add storied from our Windows Laptop? No, not at all. Still, we can use Instagram on our PC. Instagram is an online Photo Video Sharing App service run by Facebook. I, personally use Instagram a lot. The saddest part is that you can only upload images, videos and stories from their Mobile App. Anyone can visit Instagram and Like or Comment on any post from the website, but you can’t upload any new content. This is exactly why users search for the PC Version of Instagram. Now, let’s see how we can download Instagram for PC and Install it to use with access to full features like the Instagram Smartphone App. With further ado, let’s get started and let’s see how to Install Instagram for PC. Follow the step by step guide mentioned right below. The two methods mentioned below will need a Chrome Extension or a third party application to emulate Mobile Version of Instagram on PC. This trick is completely different from any other trick mentioned below. 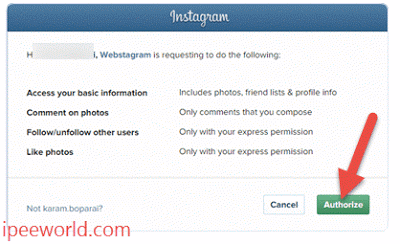 You are not required to download any Extension or software to Upload photos to Instagram from PC. All you want is a web browser. Google Chrome is one among the most Web Browser and more than 50% of people reading this article might be using Google Chrome itself. Whatever it be. Google Chrome is what all you will need. If you are not already having Google Chrome installed in your Computer then click here to Download Google Chrome for your PC and install it straight away. Now that you have Google Chrome Installed and running in your Computer, let’s get started. Step 1: First of all, Open Google Chrome and type in instagram.com in the address bar and hit go. Step 3: Once the Instagram webpage is loaded, simply right-click anywhere on the page and select the last option called “Inspect”. 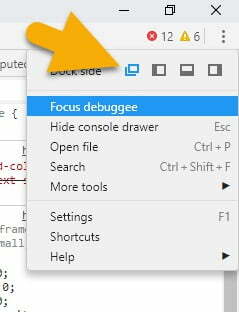 This will open the Inspect Elements Tab. Step 5: Now, minimize the Inspect Element Windows and come back to the tab in which we opened Instagram. At the top position, you will see some new options. From the first option, you should select an Android device of your choice. For this tutorial, I will select Pixel 2 XL as the device. You can select from a wide variety of a device including all major Android Mobiles and iPhone and iPads, too. Or even you can customize and configure yourself. Step 7: Reload the page and you will see the new Upload button at the bottom bar. Click on the Upload button > Select the photo > Give filters and edits (if any) >give a description, tag, location, etc and finally post to Instagram. And that’s it. This is the answer to your question (how to post to Instagram from pc). The main advantage of this method is that you won’t be required to use any third party plugins or Apps to upload to Instagram from PC. Google Chrome is a fully fledged and flexible Web Browser that a majority of users actually use. Functions of Google Chrome can be extended to the next level with the help of Extensions, Plugins, and Apps that are available in the Google Chrome Store. Google Chrome is something much more than a simple Web Browser. This Web browser can even be considered as a standalone OS because a lot of apps to do almost all works are readily available in the Chrome Store. Now, let’s come to our pint, Instagram For Chrome. 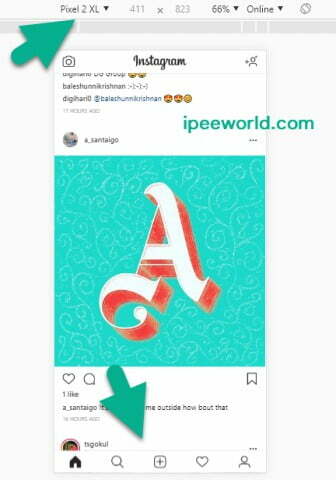 As I mentioned earlier, Plugins and Extensions make Chrome unique, here also we are gonna use a simple Extension or Plugin to use Instagram for PC. We are using an extension called Desktop for Instagram to get things done. It is a really simple yet powerful Extension to emulate the real Instagram Mobile Version on Chrome. Step 3: Now, Just click on the “Add” button and install it to Chrome. Step 5: Now, click on the Instagram Icon from the list of Extensions, to the right of Address Bar. Step 6: Now, you will be taken to the Mobile Version of Instagram with options to Upload Images and Videos. You can upload stories as well. You will have some extra options like Download button near every Photo or Videos so that you can download them and save it to your computer. Hope this helped you to upload to Instagram from pc. As Instagram is not having a dedicated version of Windows or Laptop, we can’t directly install Instagram on PC. Therefore, we will have to use another software called Android Emulator. 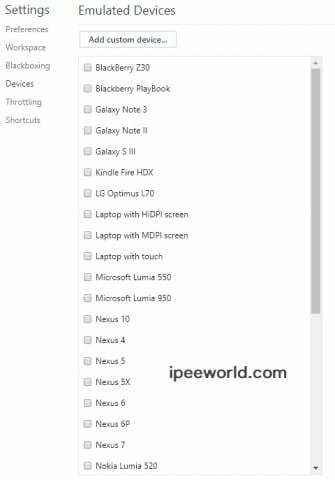 There are plenty of Android Emulators in the Internet, you can download one of your choices from the link below. The most famous and preferred Android Emulators are Nox App Player and Bluestacks. 2. Once you have downloaded any of the Android Emulator of your choice, next is to install Instagram on the Android Emulator. 3. Installing Instagram on the Android Emulator, you have two different methods available. The first one is to download the APK file from the Google Play Store using the trick mentioned in this article: Download App’s APK File from Google Play Store and then double click on the APK File and it will get automatically installed on the Android Emulator. The second method is to download Instagram from the Android Emulator using Google Play Store. All you wanted to do is, simply Open the Android Emulator > Open Google Play Store> Search for Instagram in the search field > Tap on the Green Install button and wait for a few seconds until the App gets downloaded fully. 5. Sign in with your existing Instagram account or create a new one. 6. Now, upload any new status/stories or Photos and Videos to Instagram from the new App. Now, we have the App installed, up and live on our Android Emulator. This is the best way to Download Instagram for PC or Instagram for Windows 10. Now, you will be able to Upload new stories and Upload new photos or videos to your Instagram account without any restrictions. So, basically, in this method, we are going to use a free software called Pixsta, which will help us to log in to our Instagram account from PC. 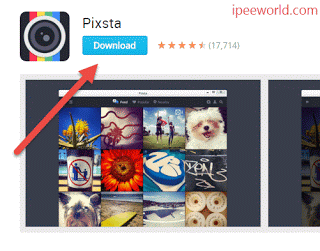 Step 1: Download Pixsta software from their official website. Step 2: Now click on the Download button and save the file to your PC. Step 3: After downloading Open the downloaded file, It ill open Pokki window Installer. Step 5: Now wait for it to complete the Installation and Downloading process. Step 6: After completing the download and Install process. Open it. 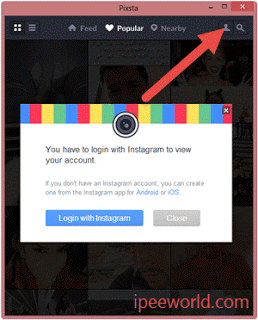 Step 7: Click on the Login button as in the Image given below, and enter your Instagram Username and Password. Now you have successfully logged into your Instagram account from your PC. In this method, we are going to use an online website called Webstagram to access our Instagram account. Step 1: Go to Webstagram website. Step 2: Click on the login button. Step 3: Now it will ask for your Instagram account’ permission. Step 4: Click on Authorize button. Step 5: Enter your Instagram Username and Password. If we were about to use Instagram using the Website on our PC, then we will not be able to Upload new stories or Upload anything to our account. All you can do with the PC Version of Instagram Website is that you can like and comment on an Instagram post and also Watch any Stories/Status but no way to Upload them. 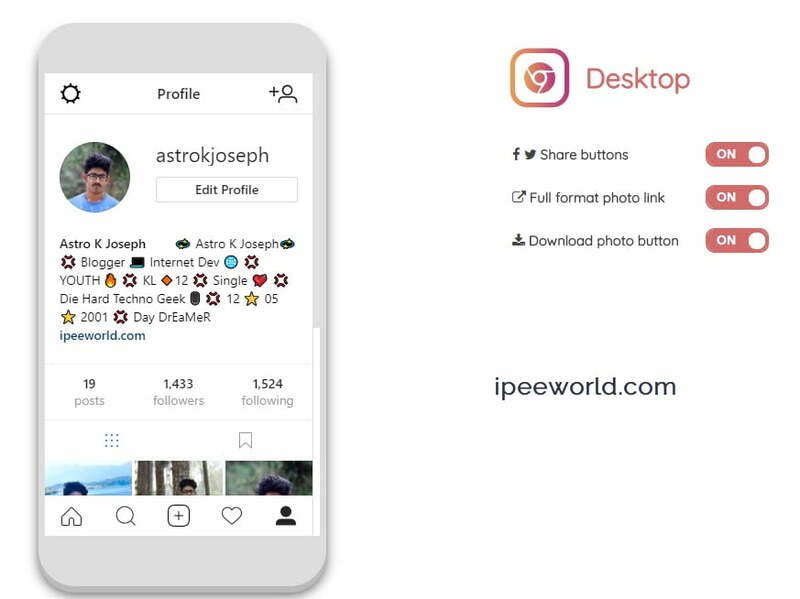 As there is no Instagram Exe file, this method comes in really handy to install Instagram or any other Android App on our Windows PC. Therefore, Android Emulators are so helpful. So, this is exactly how you guys install Instagram For PC on Windows Laptop. The first method of using Instagram for Chrome is the best method as you are not required to download any third party software. Android Emulators really comes in handy to install any of the App like this. If you are using Windows 10 then you have another simple option to install Instagram for Windows 8. That one is to just Open the Windows Store > Search for Instagram > Click on the Install button and wait until the App gets downloaded to your Windows laptop. After that, open the App and sign in to your account or create a new one and start using Instagram from your Computer. Hope you guys found this Tutorial useful and helped you in getting Instagram installed on Windows Laptop or PC. Be sure to share this article with your friends and let them know about this trick, too. Comment down below, if you want any suggestion or have doubts and I will catch you at the soonest.